Lady Gaga embraces her Italian glamour in fashionable trip to Milan: See her stunning looks! Stefani’s got style! 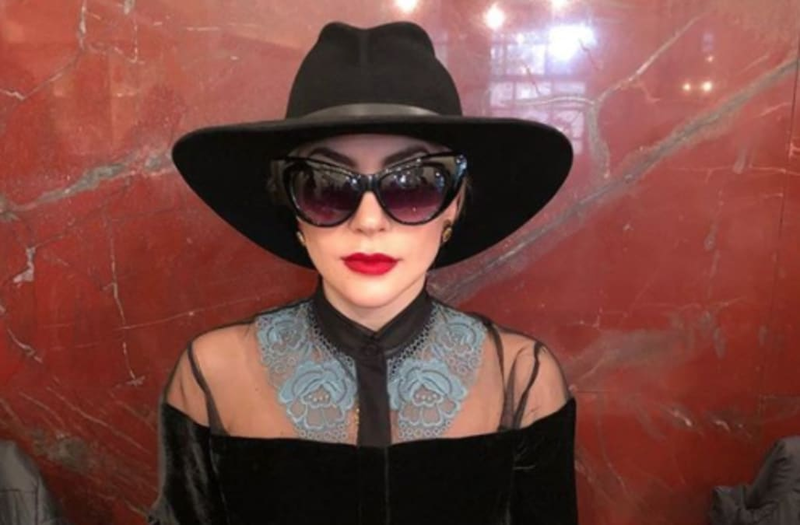 Lady Gaga is currently traveling the globe for her Joanne World Tour, and it’s clear the Italian American pop star is embracing her roots while in Milan, Italy. The 31-year-old performer has sported a series of chic styles while in Italy, each more glamorous than the next. First she shared a shot of herself to Instagram on Wednesday, sipping an espresso while wearing a black velvet dress with a delicate blue lace collar. She paired the look with large shades and a black wide-brimmed hat. @versace_official @donatella_versace you are the most wonderful friend, and inspiration and comfort to my life. Thank you for these beautiful gifts I will never forget this moment I am speechless as usual. You always make Milano my home, and as an Italian American girl it means so much. Ti Amo my queen. Gaga then kept warm with a stunning coat that featured a leather torso and black fur covered sleeves. She captioned the photos of the look by thanking designer friend Donatella Versace. But her best look of the day was the stunning scarlet red cutout gown she wore to dinner. The racy and elegant ensemble featured sheer red panels with tiny polka dots. The GRAMMY winner donned the gown while greeting fans on her way to the restaurant Da Giacomo. Gaga is performing in Milan on Thursday night and next travels to Amsterdam, Netherlands. The singer has a big year ahead, with a Las Vegas residency in the works. Lady Gaga Bares Her Booty at 'Vacation Station' -- See the Pic!